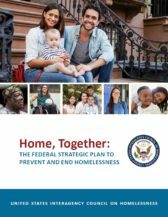 The Homeless Service Provider Network is a collection of over 70 agencies, individuals and organizations joined to advocate on behalf of homeless individuals. City Wins Federal Homeless Assistance Funds! Filed Under: Annual CoC Funding Competition, HUD News, News, News Now! Filed Under: HUD News, News, News Now!